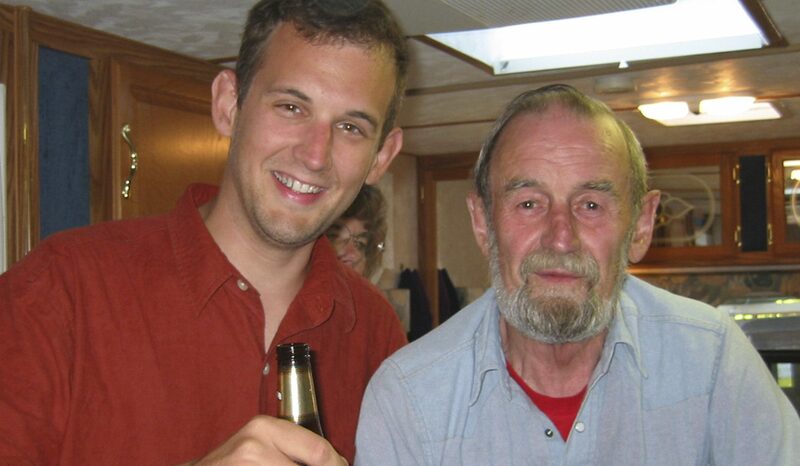 My Uncle Frank – my dad’s brother – was a hell of a guy. In my memory, he looks almost exactly like the caricature depictions of a California gold rush prospector you see in old cartoons. Bearded, wild-eyed, happy, usually found in the woods. He lived way up north in Kettle Falls, WA in a cabin that he build for himself at some point in the 1980s. Uncle Frank was a real Grizzly Adams kind of guy, always up in the mountains, panning for gold, chopping down trees, building houses and furniture out of logs. He was great. Always a colorful sense of humor, fun with us kids. And always – always – with a glass of whisky in his hand. 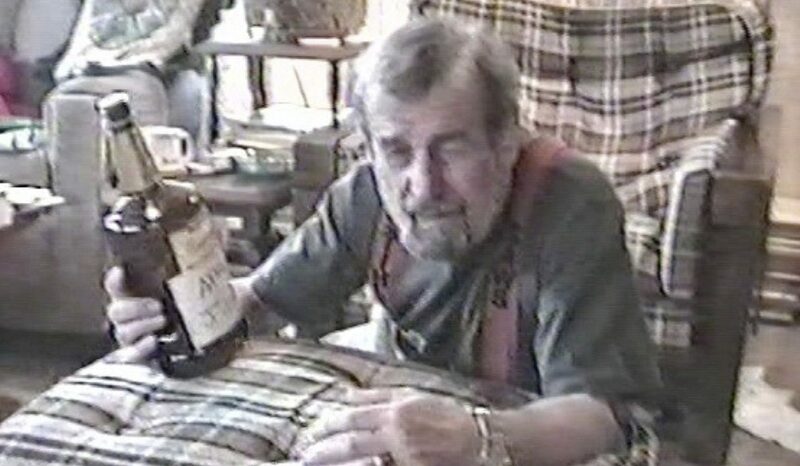 He died a few years back, maybe 2009 or so – just before I knew how big a role whiskey (and whiskey brands/labels in particular) would play in my life. Even as a kid, I always knew it was a big part of his. It defined him (among other things). He was the whisky drinker in the family, and it suited him. But I never really got the chance to drink with him (other than a couple beers one time) or find out what was his favorite brand. Now that I’m immersed in whiskey brands, it’s been bugging me that I don’t know what he drank. Was he a Jack Daniels man? Johnny Walker? Hell, I don’t even know if he drank bourbon or Scotch. The only drink we ever shared. Here we are, a good many years ago. Love this guy. I’ve inquired with my dad and Uncle Tom to no avail. And the rest of my teetotaling family paid no mind to what he was drinking other than to comment that it was too much. But I wasn’t going to give up that easily. So… the game is afoot. Fact #2: Uncle Frank used to take home-videos with his giant “camcorder” and send the tapes to the family around Christmas every year – a sort of a video newsletter. He was pretty high-tech for a woodsman, wasn’t he? He’d play some ragtime on his piano, jack his jaw and show mind-numbingly endless footage of deer, bear or skunks in his yard, etc. We would gather around the TV when his tape would arrive in December. You always saw the glass of whisky in his hand – which he usually referred to as “apple juice” for the sake of us kids – but you never saw the bottle – never noticed one anyway. Until today, I would have thought those tapes were all long gone, lost to the decades. But a few months ago, I called my Uncle Tom and asked him if he had any old photos or evidence that might show Uncle Frank with a bottle, so I could figure out what he drank. No photos and no info. Uncle Tom just re-enforced the idea that his big brother Frank drank pretty much anything – probably whatever was cheapest – and certainly too much of it (Dad agrees with all this, by the way). But I wasn’t satisfied, every whiskey drinker has his go-to brand, even if it’s from the bottom shelf. Luck was on my side. When I called, uncle Tom was just then about to send off a stack of DVDs – the entire Uncle Frank Holiday Library, which he had recently digitized – to one of the cousins and told me he’d make me an entire duplicate set. Amazing. That was months ago and I had forgotten about it completely – until they arrived today with a note that said “Disc 7, 12:00”. I put the DVD in my computer and scrubbed to 12:00. Hot damn! There’s Uncle Frank with a cigarette smoldering in an ashtray on the piano behind him, and bottle in his hand! 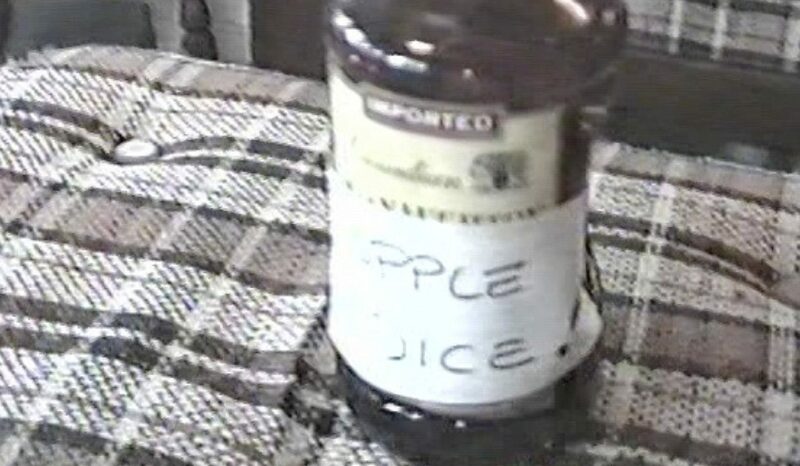 But it has a home-made “apple Juice” label wrapped around it, concealing some 60% of the real label – that joker! I should have known he wouldn’t make it that easy. But a few moments later, barely visible through the camcorder fuzz and grain, just above his handwritten, paper label is the word “IMPORTED” and the very tops of the letters spelling “MACNAUGHTON.” You can barely make it out, just as he’s grumbling that the apples in his “juice” seem to have gotten a little overripe. 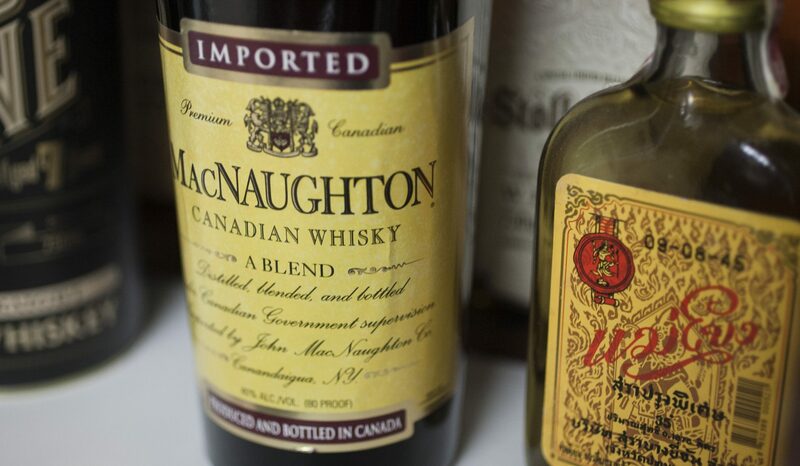 Mystery solved: McNaughton Canadian Whisky. I got bottle and poured myself a hearty drink in memory of my good old’ Uncle Frank. It aint bad but it aint good. But I make no judgement. Here’s to you, Uncle Frank. Oh – and to all my detractors – it looks like I was right about that “Mac in a bucket” after all.